Assalamualaikum everyone. Please suggest me good engine oil for Suzuki Alto turbo 660 cc. 2016 model 20,000 KM driven. Also suggest me a good service station for oil change and car wash in karachi. For Suzuki cars try to go to Suzuki 3s dealers for oil, their oil is good. Thank you babar ali nawab and hot coder for the guidance. I am about to purchase that car. My deal is in finalization phase. Please suggest me "things to do" after i get the possession of the car. Congrats . What's the price for that car? You don't need to always change oils. Just check the oils, filters, brakes, radiator, battery, loose screws, bushings etc. I hope they will be in good condition because car is not old one. 0w-20 or at least 5w-30 of any reliable brand. any service station - make sure there is no use of diesel or kerosene oil under carriage or in engine bay., simple plain water wash & body shell cleaning with car wash detergent. Respected members. Please also suggest me transmission/gear oil and radiator coolant for my suzuki alto turbo 660 cc JDM. 20000 KM driven. USE Toyota CVT Fluid & Caltex coolant. maximum time is 90 minutes for both jobs. 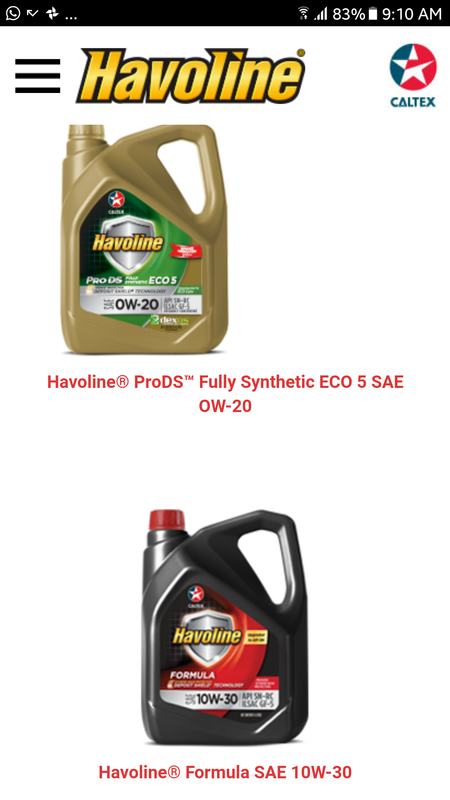 Dear members As per your kind guidance i have found two engine oils matching the specs. 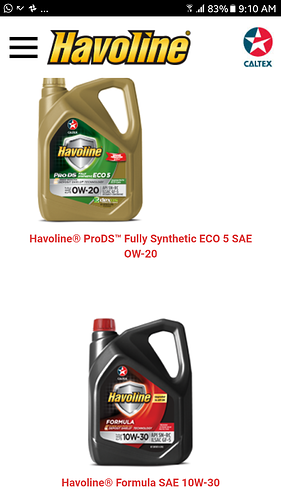 Please suggest me one oil from the following two for my suzuki alto turbo 660 cc 20000 kms driven. Also guide the change duration of these oils. 3000 or 5000 KM? Thank u brothers. Capsat & babaralinawab for the guidance. Which is the best company for engine oil filters. I need quality. Wa Alaikum Salam. Bro use 100% genuine and original, API SN, Fully Synthetic engine oil with Grade / Viscosity of 5w-30 (neither less / nor more), from any well reputed brand. I would suggest ENEOS Sustina or Total Quartz 9000. Total Quartz will last 6 k - 8 k kms, while ENEOS Sustina will easily last more than 8 k kms. Always use genuine filters, specially oil filter must be able to withstand beating of at least 6 k - 8 k kms. Wheel balancing / alignment, if reqd. btw, why don't you get your vehicle inspected by pakwheels car inspection team, before you make a deal? For Coolant, you may either use Toyota Genuine Long Life Coolant, or Caltex. in area of your usage what is early morning temperature during summer & winters. The XW -90 - The X is atmospheric temperature value at cold start. So at rooom tempratues 5w30 and 10w30 will lubricate the engine in same time right?